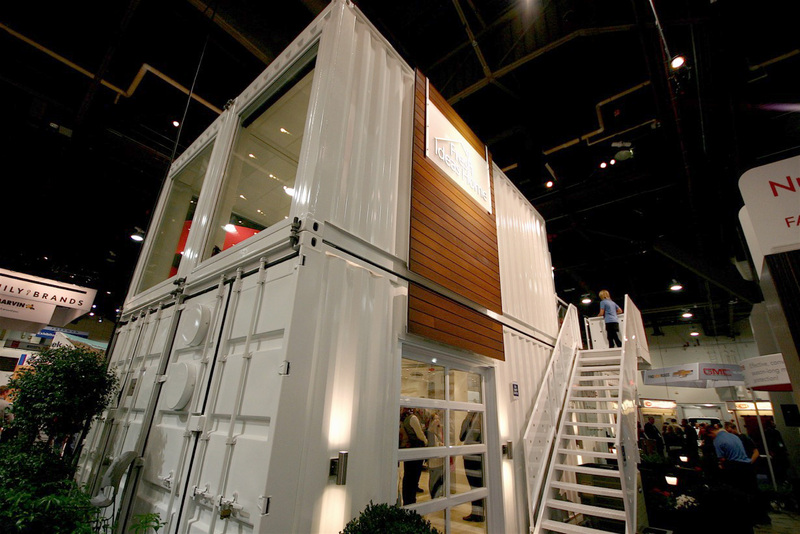 Innovation showcasing innovation. 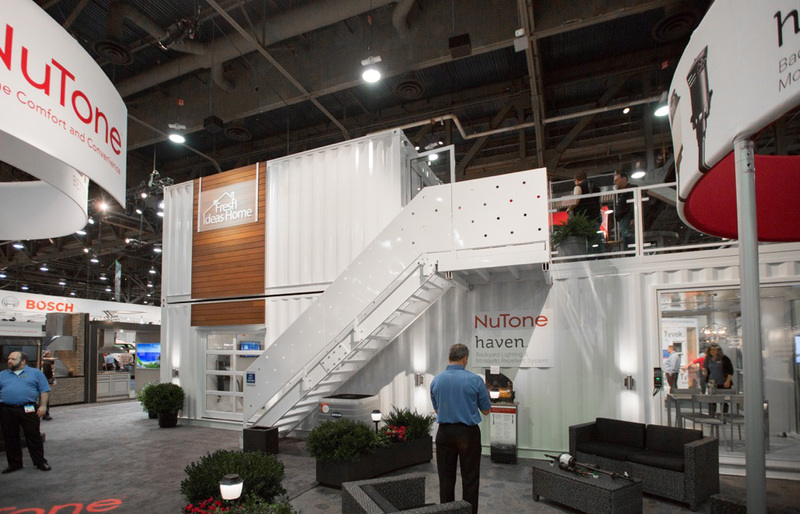 That’s the story behind the custom-built high-volume modular unit Loki Box and DST concept recently built for the Broan-Nutone manufacturing group. 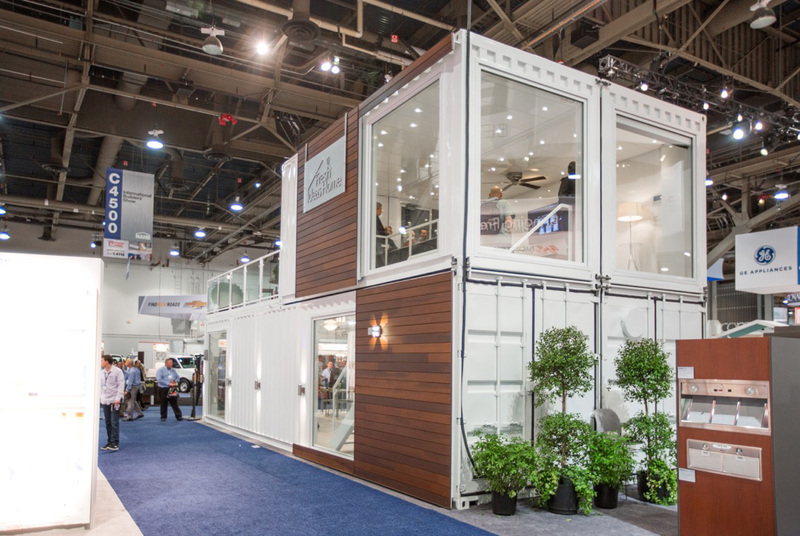 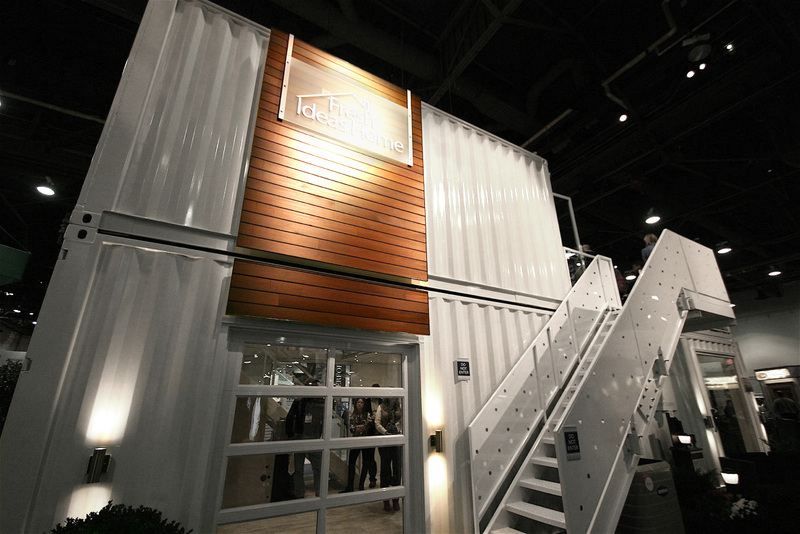 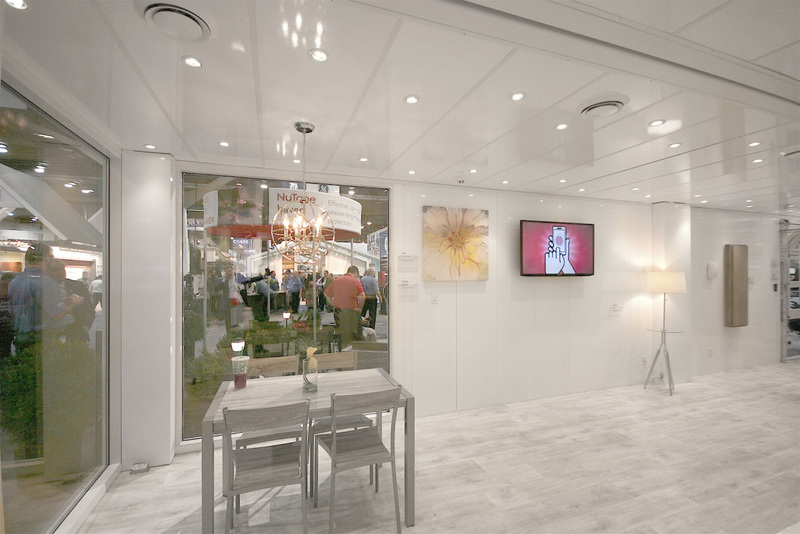 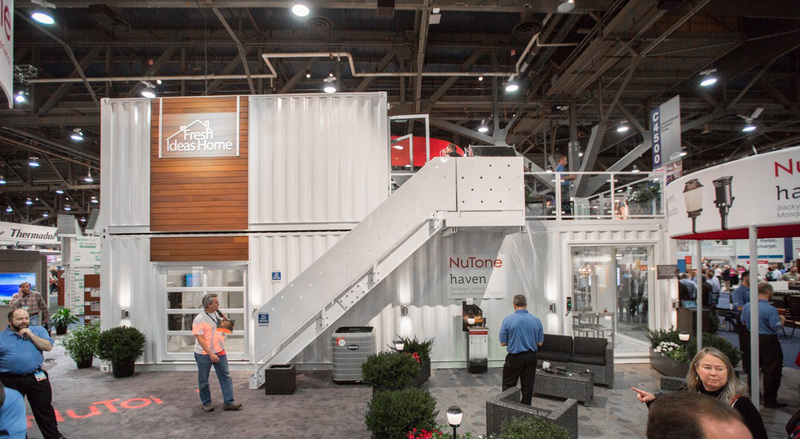 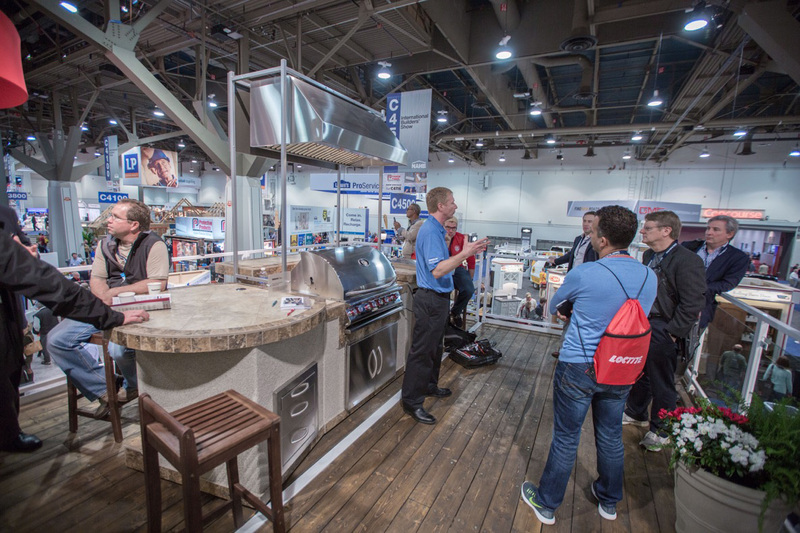 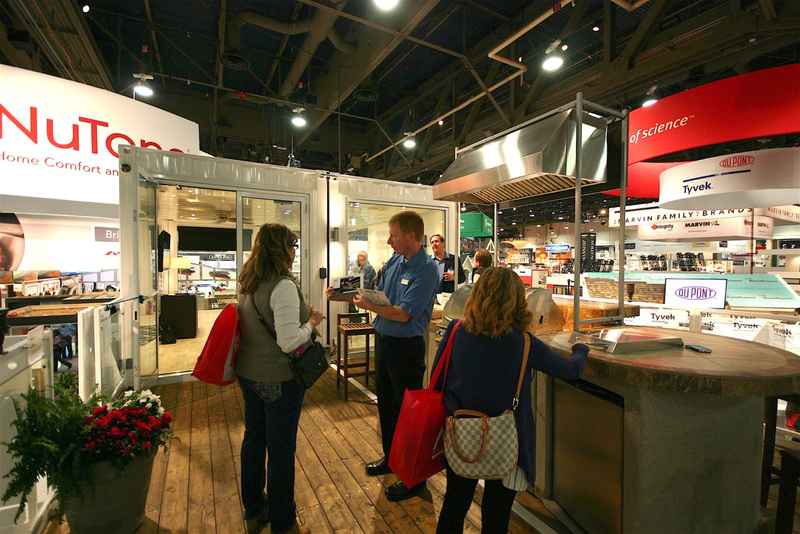 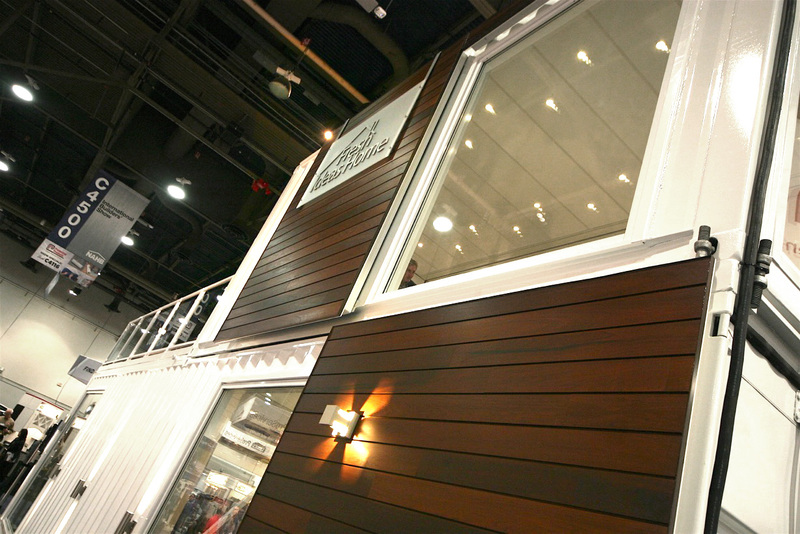 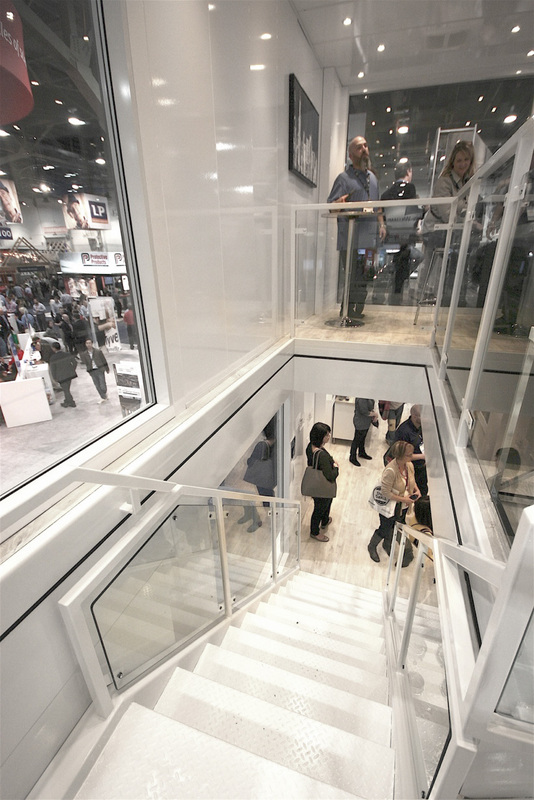 Intended for trade shows but also for use in outdoor activations at dealers, the 1,280-square foot Fresh Ideas Home is built around the core concept of the smart, connected home, providing a stunningly modern, stylish backdrop for the group’s offerings in home lighting, ventilation and smart automation technology. 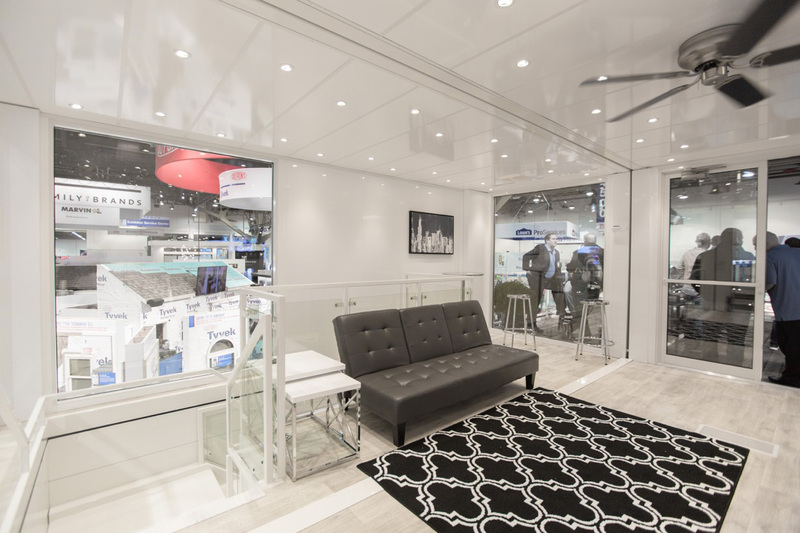 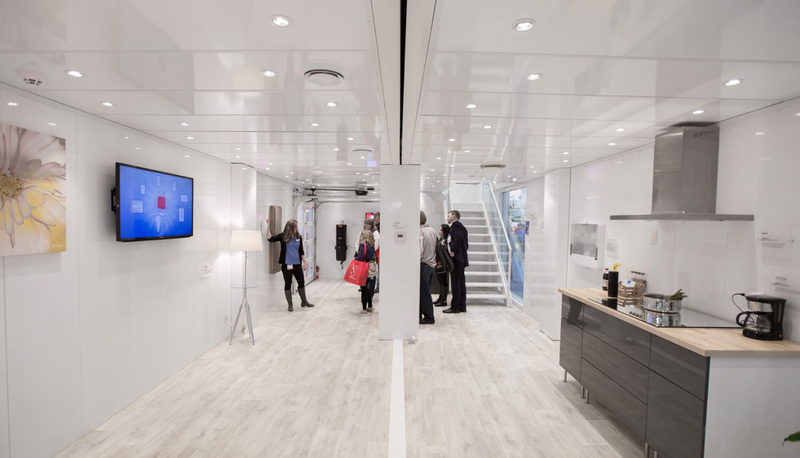 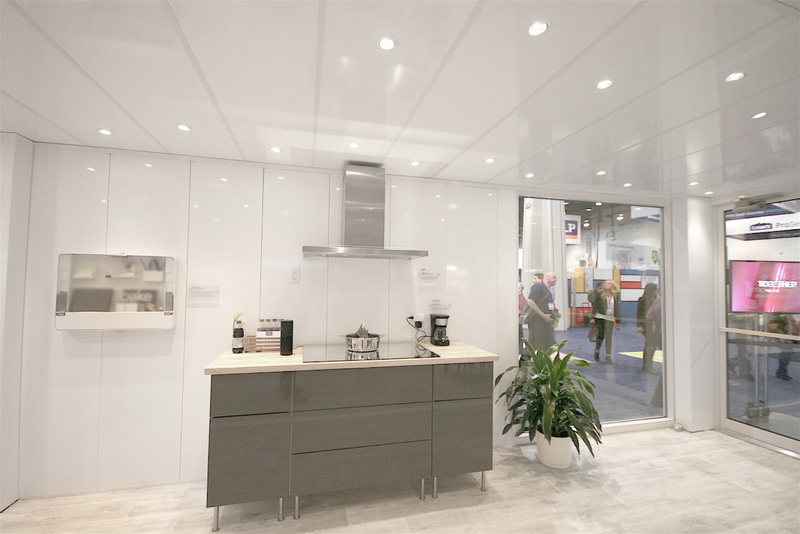 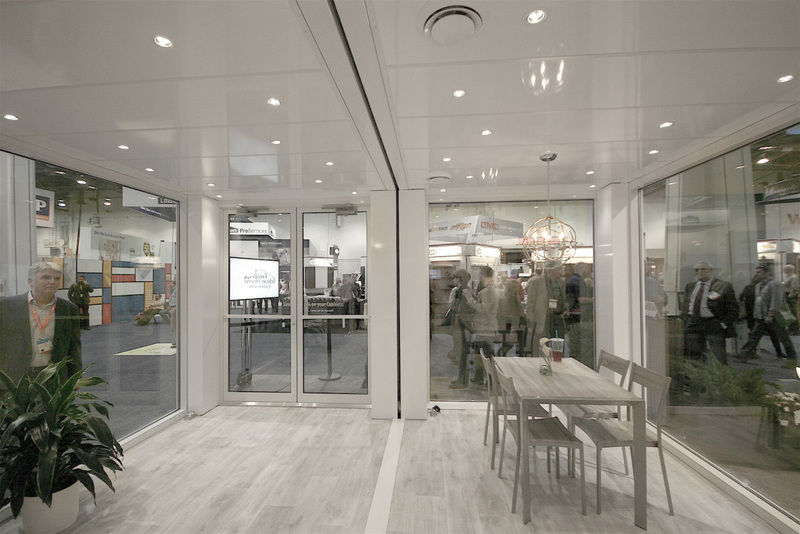 A mobile virtual residence, with complete wiring and HVAC, the modular unit showcases both the products’ functional and aesthetic features. 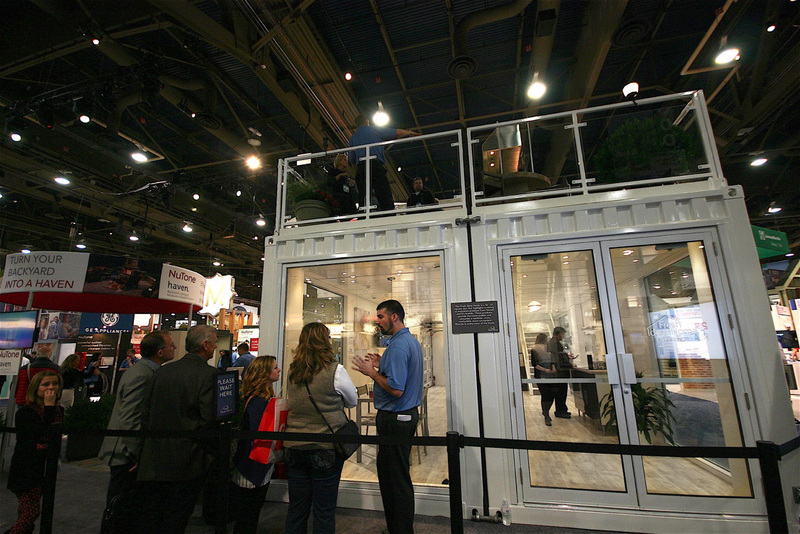 The amply-dimensioned assemblage incorporates two 40-ft containers on the ground floor with two 20-ft containers and a spacious open rooftop deck overhead.